Par 3’s have a huge impact on my overall feeling and personal rating of golf courses. It is a pet peeve of mine when I use the same club for 3 of the 4 par 3 shots on a course. 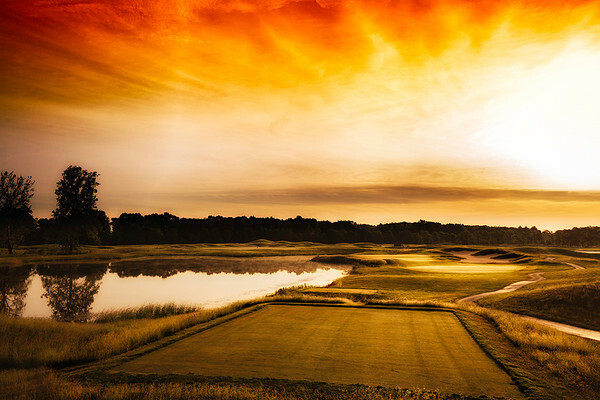 With Purgatory being spread out over 218 acres very few people notice that the par 3’s all play in different directions. If we have a consistent wind you will play shots in every wind direction. Thus even if you are playing similar distances they will require different clubs. Purgatory par 3’s all look vastly different from each other, unless you have made a hole-in-one on one of them it is extremely hard to pick your favorite as they all have fantastic features. If you are playing the farthest tee forward the only par 3 that has a forced carry is #12, in fact from those tees it is the only forced carry on the golf course.